Lucerne – a small picturesque town in Central Switzerland that probably has more visiting tourists than locals. All these foreigners with their cameras and unrecognizable languages can get very easily annoying to the point that you would seek a place to escape. Would you believe if I tell you that your get away is right under your nose? Yes, the place is called Alpineum (Denkmalstrasse 11 6006 Lucerne) and I’m saying under your nose, because it’s located right next to the lion monument, the most prominent tourist sight in town. And it’s definitely a surprise, because as I said no one would have thought escaping the tourists can be done right on their pathway. The Alpineum is not hidden in any way, it’s just not meant to accommodate groups, and there you go, a perfect hideaway. It’s a self-service café (and a bar, let’s not forget that) and I really enjoyed the atmosphere. There are a lot of painting reproductions on the walls that add an artistic touch to the slightly eclectic interior. During my visit I got to meet one of the owners – Silas Zemp, who was very kind and told me a bit more about the place. They own Alpineum for two years now and last year the Kaffehaus has been chosen to host the 12th Swiss TNT (for those of you who don’t know, that’s a type of informal latte art competition). It has been a great success you can see more from the event on the official TNT blog here. The beans used are from Rast Kaffee with a three group Dalla Corte Evolution known for the so called DC system, with a grinder control aiming for consistency of the espresso. My overall impressions from the place are good, Alpineum is a quality driven business and they do care about the product they offer. 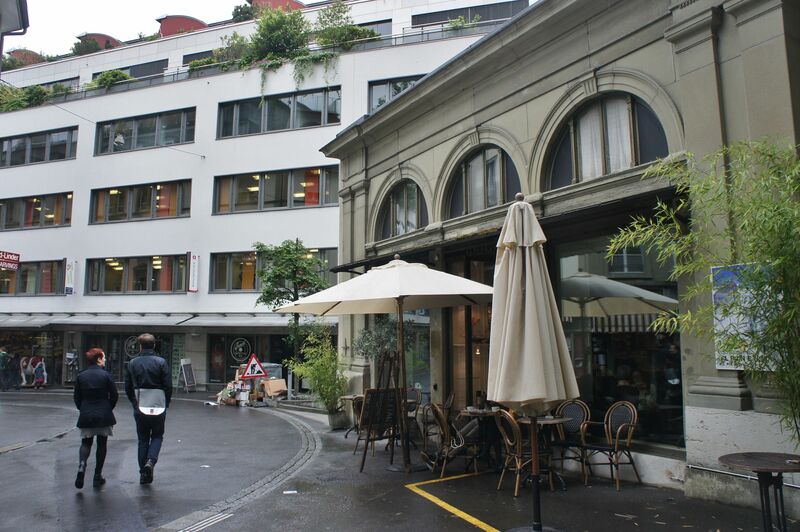 This will be the next in my list of the more notable coffee places around Switzerland.